China on Thursday blasted a new US law that allegedly aims to promote US personnel's access to Southwest China's Tibet Autonomous Region, saying the law is a "gross interference" in China's domestic affairs. China resolutely opposes the law, saying it will "severely damage" communication and cooperation between the two countries in key areas, China's Foreign Ministry spokesperson Hua Chunying said at a daily briefing on Thursday. US President Donald Trump signed the Reciprocal Access to Tibet Act of 2018 into law Wednesday, according to the White House's website. The act is allegedly designed to promote access for US diplomats, officials, journalists and others from the US to Tibet and Tibetan autonomous prefectures in Sichuan, Qinghai, Yunnan and Gansu provinces. It requires the US Department of State to report annually to Congress on the level of access Chinese authorities granted US diplomats, journalists and tourists to Tibet and other Tibetan-inhabited areas. It also said that Chinese officials involved in the formulation or execution of policies related to access to the region by foreigners will be denied entry into the US, according to the website of the US Congress. The act sends the absolutely wrong message to "Tibetan separatists," severely violates basic norms in international relations, grossly interferes with China's domestic affairs and is extremely harmful to China-US exchanges, said Hua. The act alleges China imposes greater restrictions on foreigners seeking to travel to Tibetan-inhabited areas than other regions of China. China welcomes foreigners to visit Tibet, but their visits must follow China's laws and regulations and relevant formalities, Hua stressed. Foreigners who want to visit Tibet must submit an application containing information on their itinerary, purpose of travel, occupation and contact personnel, along with their passports and valid visas to local authorities through a travel agency, Tibet Daily reported. 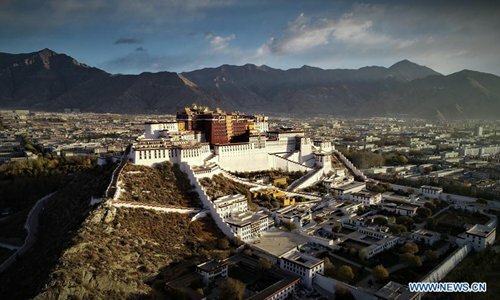 Concerns about local climate and geographical factors make it necessary to take a certain level of management according to laws and regulations in terms of foreigners visiting Tibet, said Hua. Zhi Zhenfeng, a legal expert at the Chinese Academy of Social Sciences in Beijing, told the Global Times on Thursday that US politicians need to go back to law school, as it is the fundamental sovereign right for a country to manage foreigners' entry based on practical needs. Tibet will be more open as China furthers its reform and opening-up, Hua said. Nearly 40,000 Americans have travelled to Tibet since 2015, she said. From January to April this year some 40,000 foreign tourists visited the region, an increase of 50 percent compared with the same period last year, the Xinhua News Agency reported in May. The US law makes groundless and biased accusations against China, which is unacceptable, said Hua. Hua said China will take "strong countermeasures" to safeguard its own interests. Zhi said that China can also pass laws and deny the entry of US officials who are involved in drafting the US act, and prevent them from not only coming to the Chinese mainland, but also the Hong Kong and Macao special administrative regions. In order to protect China's interest, the country could learn from the US and also use the leverage of domestic legislation Zhi said. He warned that the act on Tibet can become another bargaining chip that the US can play in the wrestle between the two countries. The US may forbid Chinese officials to visit the US out of other strategic considerations, without providing details, Zhi warned. The act comes months after Trump signed the Taiwan Travel Act in March, which encourages visits between the US and the island's officials at all levels. Li Haidong, a professor at the Beijing-based China Foreign Affairs University, told the Global Times on Thursday that it is a trend that the US is resorting to legal methods to "package their political agenda" on key issues that have frictions with China. Such measures could be used as legal references for US decision makers to deal with issues related to China, he said. The move is a signal of the US' overall containment of China following its escalated efforts to challenge China on issues of the South China Sea and those related with Xinjiang and Taiwan, said Wang Hanling, another law expert at the Chinese Academy of Social Sciences. The US is trying to incite religious and political conflicts in China by passing such an act and China must be prepared for a new cold war that might be triggered by the US, Wang said.